Robert Woodhead Ltd has been working in the construction sector for 70 years, always family run, and always holding true to the values that have helped us grow to where we are now. From small beginnings, we've created a multi-million-pound business with over a hundred staff, and we've done this by building a culture of trust, responsibility and excellence. Our employees believe in our values and trust in our processes; ensuring they channel our values in everything they do. We see the importance of vision and leadership, and the effective management that helps us deliver exactly what our customers want. To keep on this path, we have always needed to work closely with our supply chain. We value our suppliers immensely, and couldn't deliver our work without them. Our business relies on our reputation for excellence, and that wouldn't be possible if the companies we depend on aren't excellent as well. This was the idea behind Good to Gold – our flagship training programme for the companies in our supply chain. We wanted to help them grow, and take them on the same journey that we are on. Working with the UK Commission for Employment and Skills, we tested, developed and delivered Good to Gold. Our funding came through The UK Futures Programme – a national initiative that supports employers to develop innovative solutions to some of the biggest skills challenges facing the UK workforce. We worked alongside multi-national businesses and household names to map out best practice for supply chain development in the UK. We’re very proud that Robert Woodhead secured this opportunity. Our suppliers wanted leadership skills and management skills. We wanted them to have them as well: we need them to grow for us to grow. The closer we can work with them, the easier both of us will find it to achieve our shared goals – the ability to manage and lead is central to this. This is because all the evidence shows that building leadership and management skills boosts the efficiency, profitability, and sustainability of a business. We wanted to make sure that our suppliers were getting the exact support they needed, so we carried out Organisational Needs Analysis for every supplier on the programme, to ensure the training was targeted specifically to their businesses. In construction, irregular hours and busy schedules are par for the course. So we kept our training sharp and focused, putting out 8 half-day workshops, delivered by experts and tightly directed at the key takeaways for their businesses. 86 staff from Robert Woodhead suppliers took part– senior people from small businesses, putting down tools to dedicate their time to growing their capabilities. Looking back at the programme, we can only call it a success. We listened to our suppliers, and worked with them to deliver what they asked for. 95% of the businesses that attended reported positive benefits from attendance, and 84% thought the training would directly boost their business performance. 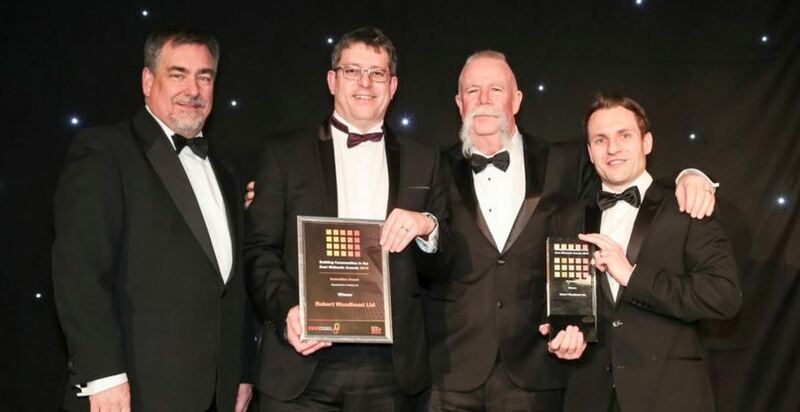 Recently, our success and hard work was recognised at the Building Communities in the East Midlands Awards, where Good to Gold won the award for Innovation. This has been a learning experience for us at Robert Woodhead. We've gained insights into how we can work best with our supply chain, and what we need to do to help them be the best they can be. On a personal level, we’re also closer to the suppliers involved, we understand their needs better and we've built the foundations to collaborate with them again in the future. Through Good to Gold, we've seen the value of the relationships we've developed with our suppliers, and the trust that’s come from that. As the head of our supply chain, we were in a position to take the lead and arrange something that’s been of huge benefit to everyone involved. Robert Woodhead is only as good as its supply chain businesses. Acting alongside them through Good to Gold, we've shown how closely we can co-operate and the good that can come from that. We couldn’t do what we do without them, and, thanks to our work with our partners, our supply chain, and UKCES, we’re better prepared to grow for the future. Find out more about Robert Woodhead’s project and this Productivity Challenge.